Your gift, whether large or small, whether financial or in-kind, can make a tremendous difference in the lives of people in need here in Lee County. 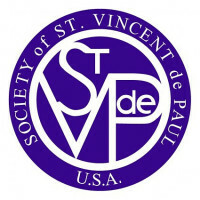 None of the good works accomplished by the St. Vincent de Paul volunteers and its members would be possible without of the support of people who share in the belief that a small act of kindness can make a big difference in the life of someone in need. Thank you! Please give what you can and help people in need in your community with basics like food, fuel, transportation and utility costs.